Automatic Pouch Packing Machine is good Home Based Small Business Idea. Anyone can start a Small Business with Automatic Pouch Packing Machine at Home. With this Automatic Pouch Packing Machine you can pack oil, milk, ghee, honey, mineral water etc. liquid things in pouch and you can sell these in the market or supply orders. The demand and market of this job is found all throughout the year. There is a tank in the machine. At first, milk, honey, oil, ghee whatever you want to pack, pour it into the machine. Now start the machine. There is a pump attached with the machine. You can pack liquid in indicated weight such as 50 gm, 100 gm, 200 gm etc. as you want. The pouch will come out automatically with the liquid in indicated weight. 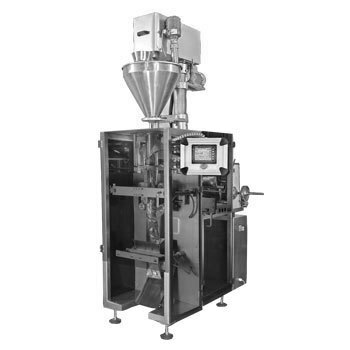 It needs ½ hp motor and 220 volts to operate the Automatic Pouch Packing Machine. The price of the Automatic Pouch Packing Machine including motor (which can make upto 300 gm pouch) is approximately Rs. 1 lakh 20 thousand. You can find many companies manufacturing a wide range of Automatic Pouch Packing Machine.